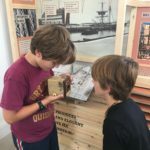 West Bay Discovery Centre tells the story of West Bay past and present featuring information, static and interactive displays, oral history and walking trails. There is something of interest for all visitors and ages. 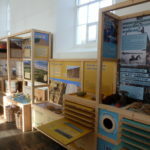 It also aims to provide information to visitors on all there is to do in this part of West Dorset. 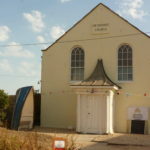 It is in the former Methodist Chapel just to the rear of the Bridport Arms Car Park, close to the harbour and beach. Admission is free although donations are welcome, as it is run by a local charity (Bridport Area Development Trust).